When more than 800 student-athletes from 35 Florida high schools descended on Sarasota for a late April rowing championship, UF/IFAS Extension Sarasota County was there to cut food waste by boosting composting. 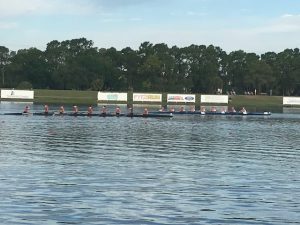 By the end of the April 29-30 Florida Scholastic Rowing Association Sweeps Championships, held at the world-class Benderson Rowing Facility, Extension staff and volunteers had diverted from landfills and into composting nearly 400 pounds of food waste generated by athletes, food carts and the general public. A “composting team” led the efforts, collecting and isolating recyclable materials and trash from composting bins set up around the facility. Food waste then was transferred to mulch-lined composting bins, specially constructed in the park’s maintenance area. One unique aspect of this composting project is that food waste was collected and processed onsite, reducing unnecessary environmental impacts. Additionally, composted material resulting from the project ultimately will be reused within the park. The food waste collection and diversion program is the first of its kind for organized rowing events in the United States. As the first Extension agency to become a member of the Green Sports Alliance, UF/IFAS Extension Sarasota County is using the power of sports to educate and create positive change. During the event, several students approached the extension staff and asked how they can implement a composting program at their schools. In 2018, UF/IFAS become the first extension program to become a member of the Green Sports Alliance, who primary message is to PLAY GREENER™ . Using a sports venue gives UF/IFAS the ability to reach thousands of people and introduce them to food waste diversion and composting. 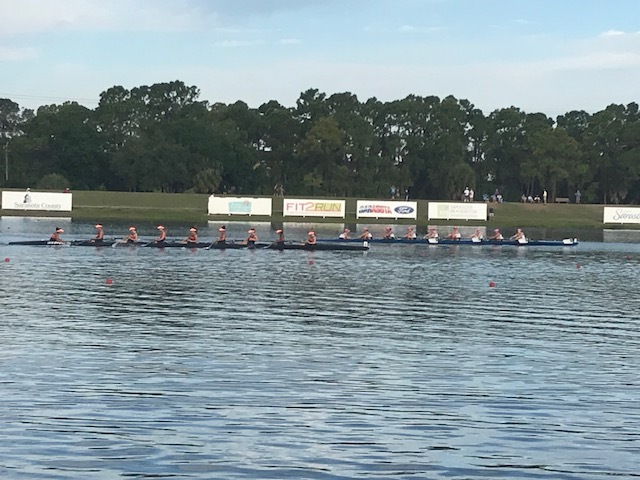 This marked the fourth rowing event for which UF/IFAS Extension Sarasota County has provided compost collection in 2017, along with the Florida State Youth Rowing Championships, US Rowing Nationals, and World Rowing Championships. Collectively, the four events have diverted more than 1,500 pounds of food waste from landfills. 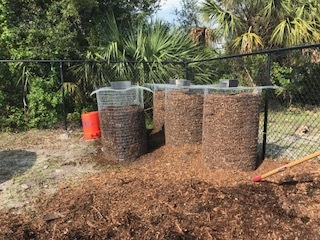 The Extension waste reduction effort is part of a collaborative partnership also involving Sarasota County’s Solid Waste and Parks, Recreation and Natural Resources departments, Suncoast Aquatic and Nature Center Associates, Inc. (SANCA), and Nathan Benderson Park. ← CLASS: Let’s Make Some Black Gold!